Visual Café is an integrated development environment for the Java programming language. It includes a GUI builder. VisualCafe provides developers with an adaptable, integrated application environment, and combines a core Java development environment with many best-of-breed offerings from partners including BEA Systems, IONA, Oracle and PointBase. VisualCafe 4 implements the Java 2 platform standards from Sun Microsystems, including multi-server Enterprise JavaBeans (EJB) support, Java ServerPages (JSP), servlets, CORBA, multi-tier distributed debugging and other Java technologies. Every version of VisualCafe 4, including the Standard, Expert and Enterprise edition, include the Lightning JIT 4 compiler. 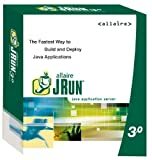 JBuilder is the leading cross-platform database and Web application development environment for the Java 2 platform. 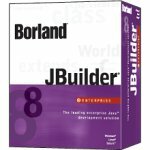 Rapidly build and deploy Web applications with servlets and JSP using JBuilder wizards and tools and the included Borland Enterprise Server, Web Edition. Maximize productivity with code refactoring, Javadoc tools, JDK switching, 250+ reusable JavaBeans with source, and advanced smart debugging. With presentation, transformation, and validation of XML documents, JBuilder helps you take full advantage of XML. Choose JBuilder 6 Professional for a flexible, open solution on Windows, Linux, Solaris, and Mac OS platforms. 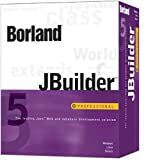 Businesses and software development consultants looking for an integrated development environment (IDE) that's well-suited to creating commercially distributable, database-centric applications should consider Borland JBuilder 5.0 Professional. It's an excellent environment for building Java applications for a variety of Java Virtual Machines (JVMs), both because its core tools are nicely designed and because its supplemental features add a lot of value. In all respects, this is an example of a typical IDE, with which you can write software projects, debug them during test runs, and manage the collection of files they require. All the tools you expect are present, including a drag-and-drop form designer for assembling user interfaces graphically, a source code editor with syntax highlighting, a debugger that allows you to monitor variable content and set breakpoints, and an object browser that makes properties, methods, and hierarchical relationships explicitly obvious. The IDE is moderately customizable. Most of the components are fixed in place (albeit in a logical way) in a single tabbed window, but you can change the look and behavior of the code editor rather extensively. One nice JBuilder feature is a version manager that lets you view the contents of earlier saved versions of a project and revert to previous (perhaps "known-good") versions. You can even, in this edition of JBuilder, see the differences between versions highlighted. The code editor's CodeInsight feature, which allows you to call up lists of appropriate parameters and object members with a (configurable) hot key combination, is another attractive touch. Speed of compilation is, subjectively speaking, totally adequate. The Professional edition of JBuilder has two major advantages over the Personal edition. The first advantage is a legal one: you can take applications compiled in JBuilder 5 Professional, even if they refer to Borland JavaBeans and other prefabricated components, and make money by selling them. You're not required to pay royalties to Borland for those sales. The other big selling point of the Professional edition has to do with features. While the Personal edition allows you to compile vanilla Java code for the Java 2 Standard Edition (J2SE) application program interface (API), the Professional edition lets you choose two additional target environments: the Java 2 Micro Edition (J2ME) API for devices like mobile phones, and the Java 2 Enterprise Edition (J2EE) API for distributed applications. JBuilder 5 Professional boasts a better debugger, too, with conditional breakpoints and the ability to have multiple monitor windows open for watching several threads simultaneously. But the real difference between JBuilder 5 Professional and its little sibling becomes evident when you start doing database work, which is at least part of what most organizations do with Java, and where a lot of software consultants make their money. This product includes a slew of Borland's DataExpress data access components (which you can incorporate into your applications royalty-free, remember). It also includes tools for examining databases, designing SQL queries, and testing the efficiency of database queries. You also get a license for Borland's JDataStore database object.